Seems my lizard has been covered by some minor growth. 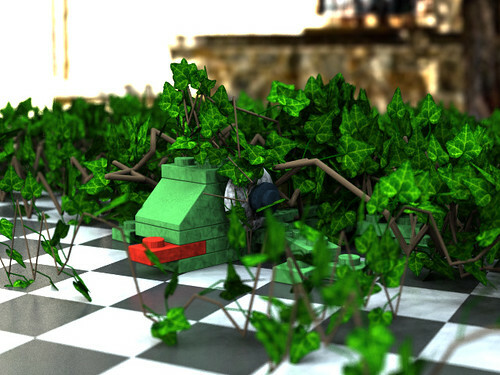 I ran across this great ivy macro hanging around the pov-ray.org forums and had to give it a try. Check it out yourself at this thread.